How do you attract customers and keep them coming back? 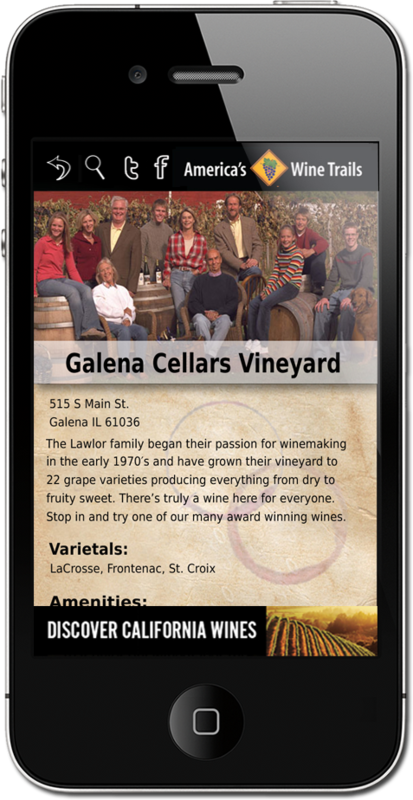 In this mobile, socially connected world, wineries need to be at the top of their marketing game because making great wines isn’t enough. Successful tasting rooms must find new customers, retain current customers and engage with them to keep them coming back. Follow these 6 steps to get your winery on the right marketing track. 1. Create a SEO and mobile friendly website. To find new customers online, search engines need to find your website. If your website is 5-7 years old, it is time for an update to insure it is optimized for search engines and mobile devices. Good search engine optimization, sometimes called “SEO”, is about creating an informative user friendly website with relevant content. A well designed website encourages sharing to drive organic traffic and links back to your site. Why should a website be mobile friendly? 56% of mobile phone users access the internet via their mobile device, and if a website is not optimized for mobile, most leave without taking action. See related story: Is Your Winery Website Mobile Friendly? 2. Claim your listing in local search directories. One of the most popular activities on a PC or mobile device is an internet search. Google+ Local is the most popular local search site (70% of searches) followed by Bing, Yahoo and hundreds of other directories for your industry. Make sure your winery is found on search engines because the highest possible level of purchasing intention happens on a local search. 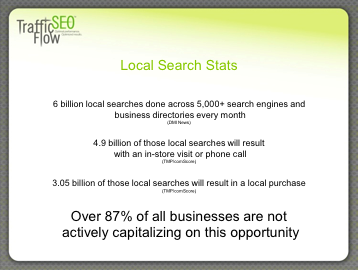 The percentage of people who will make a purchase after performing a local search is staggering. See the statistics below from Traffic Flow SEO. 3. Connect with customers using Social Media marketing. Use this technology to build relationships, drive business and attract new customers through friends sharing with friends. If you want to go where the traffic is; Facebook is the most visited website in the world and Pinterest is the fastest growing social media network where 80% of users are women 35-44. Pinterest is an online pin board that allows users to share visual images. It’s perfect for lifestyle brands such as wineries. On Facebook, engage fans with fun, informative, sharable content; images, videos, event info, funny photos and quotes. A good rule of thumb is one message out of ten should be a “sell” message. 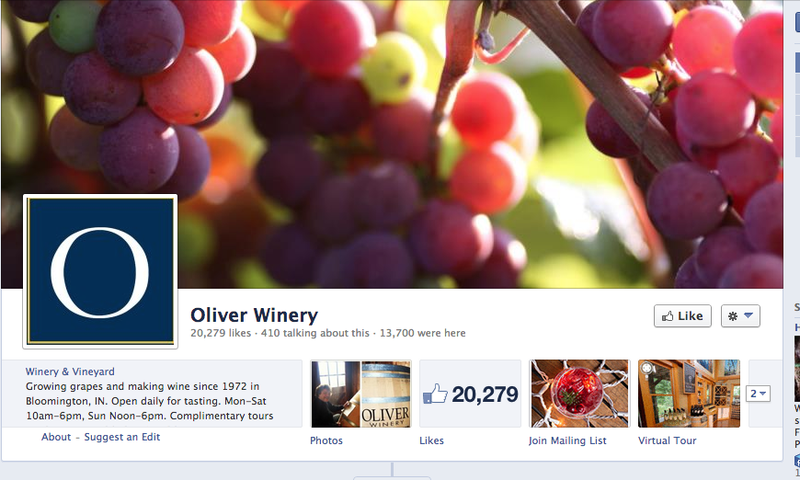 Oliver Winery in Indiana recently reached 20,000 Facebook fans proving that Facebook is a great platform to reach fans and start conversations by offering contests, asking questions and posting events. 4. Host winery events, live entertainment and festivals. Wineries are wonderful entertainment destinations. 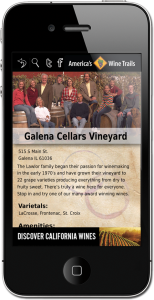 Match events to your target market and your winery’s capabilities. An urban winery can draw a crowd with live entertainment during the week, whereas a rural winery with a beautiful view is the perfect venue for afternoon weekend live entertainment. Whenever possible, create events around the local heritage or a niche market. Festivals don’t have to be focused on agriculture. For example, wineries around the fringes of Chicago could have an event for people in manufacturing and explain how wine is produced complete with foods, contests and music. Invite other agri-tourism businesses to get involved with events; artisan cheese makers, microbreweries, cider producers, and chocolatiers. If you are out of festival ideas, hold a Facebook contest for “Winery Festival Ideas” and see what your fans come up with. Promote events on the website and dedicate a page for each event with photos and videos of past events. (Remember, search engines like new content.) Use email marketing, social media and calendar of event listings to reach your target market. 5. Keep in touch via email. E-mail drives repeat business and keeps your winery top of mind. Use an email service provider to send emails, comply with FTC regulations (Cam-Spam laws) and track results. One of your strongest assets is this database of contacts that can be used for email event invitations, special sales, new wine releases and newsletters. Make it easy for customers to sign up for email newsletters by including a sign up button on every page of the website and a sign-up sheet at the point of purchase. 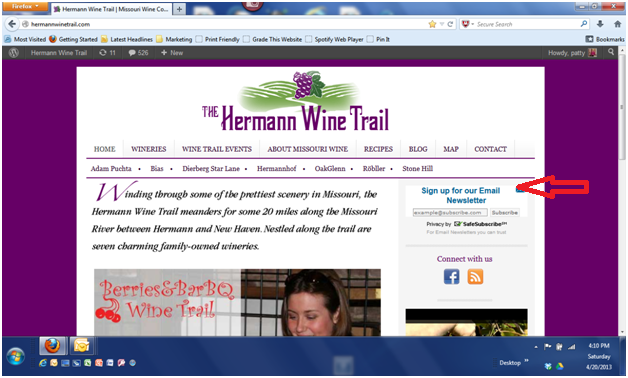 For an example, see the Hermann Wine Trail’s website page below. The newsletter sign-up is at the top of the page. 6. Join a Wine Trail. There are 270 wine trails in the country, clustered in geographical wine producing regions, leading the way to promote wine tourism as an attraction. The benefits of joining a wine trail are numerous; increased year round tourism, increased awareness of the region, co-op advertising opportunities, standardized signage, partnering opportunities with other agri-tourism attractions such as merchants, hotels and restaurants. 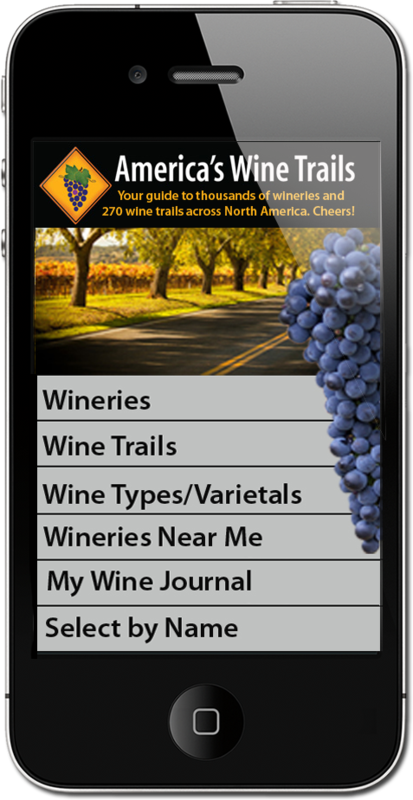 Consider becoming a member of America’s Wine Trails app, the most comprehensive winery app on the market, to grab the attention of your future customers and bring them to your winery. Follow these meaningful steps to grow your customer base and keep them coming back. For more marketing tips sign-up for my e-newsletter at www.pattyheldconsulting.com. For more information on my consulting services call me at 314-795-9770 or email me at patty@pattyheldconsulting.com.